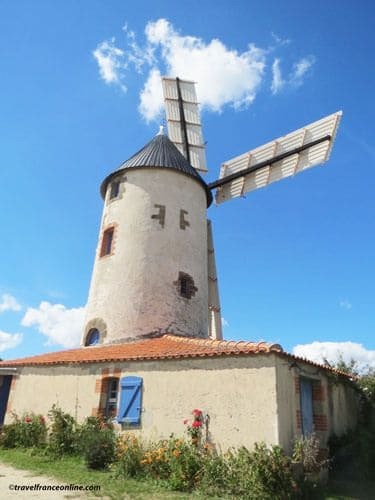 The Moulin de Rairé is located in the municipality of Sallertaine and dates from around 1555. It then had rake wings covered with linen canvases that the miller constantly adjusted according to the force of the wind. These wings were very long; they almost touched the ground so that the miller could easily adjust the canvases. In 1840, the Barreteau, a family of millers who already operated about 20 mills in the north of the Marais Vendéen, bought it. In 1842, milling technique saw a major change. A Parisian engineer, Pierre Théophile Berton, indeed created a new style of wings. Berton replaced the linen canvas with wooden boards, which were (still are!) adjustable from the interior of the windmill. The Moulin de Rairé changed its linen sails for boards in 1864. It was also raised by 2m in order to build a storage room for grain and flour at its base. 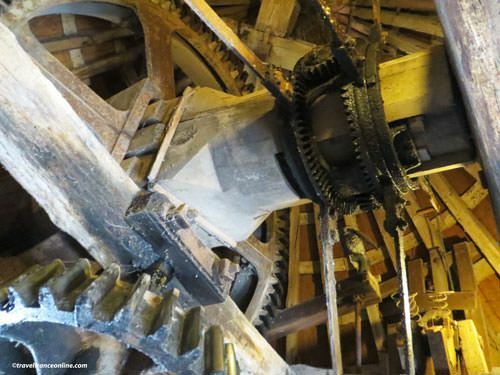 The Moulin de Rairé has never been modified since, but has been carefully maintained and kept in its original state! In the 20th century inter-war, techniques had obviously evolved further and windmills were powered by electricity… except the Moulin de Rairé. The miller of the time, Amelia Burgaud, fiercely remained faithful to ancestral know-how and refused to mechanize her windmill. She therefore continued to use the force of the wind to turn its wings. At the end of WWII, the number of windmills had seriously declined! However, the Moulin de Rairé, the guardian of the ancestral milling tradition, had escaped destruction. It opened its doors to the public in order to show the ingenuity of the men who erected it 4 centuries earlier! 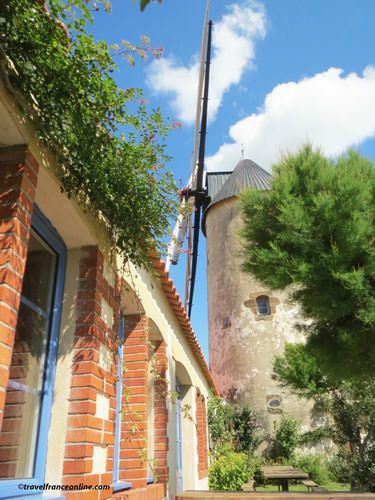 Not only is the Moulin de Rairé still powered by the force of the wind, but it has never ceased turning since its construction! That said, this beautiful machine is also a real tool. All year long, it indeed grinds flour for animal feed. In 1963, the Association des Amis des Moulins du Marais Nord Vendéen - Association of Friends of the Mills of the North Marais Vendéen was formed to save the last windmills of the region. Sadly, it was already too late as the Moulin de Rairé was the only of the municipality’s 14 windmills that was still running! When visiting the region, you’ll discover Le Petit Moulin de Châteauneuf which stopped turning in 1951 and Le Moulin de Poirot in Sainte-Catherine which turned until 1960. This situation is sadly common throughout the whole country. France once counted up to 1500 windmills and those that still turn today are more or less well restored and powered by electric motors! 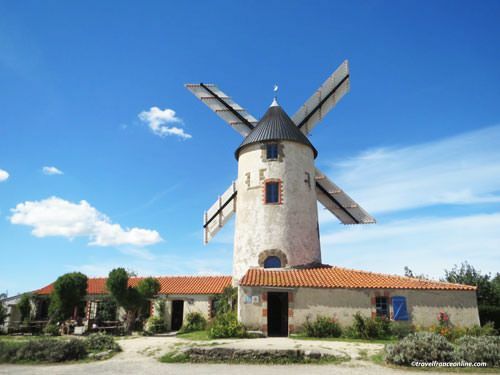 Le Moulin de Rairé is therefore an unmissable visit when you are in the region. It is still open to the public and a 45mn guided tour will take you to the discovery of its fabulous mechanisms. And when the wind blows - it does most of the time - the miller will set the sails manually, just for you! The icing on the cake is the shop where you'll find a selection of delicious biscuits and local products - all made with flour obviously.